Our seasons have shifted. Not from fall to winter. We, society, have taken it upon ourselves to add a fifth season. Spring – Summer – Fall – Christmas – Winter. I had help taking down my fall decorations. My son, Dakota, insisted her name was not Skittles. He re-named her, Bubbles. I have to admit. It completely works. 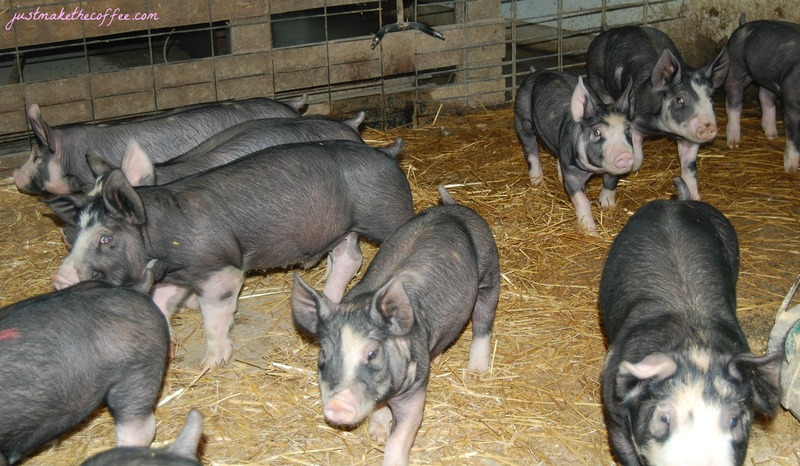 Meanwhile, the piglets are growing. These are the October 2nd babies. Quite the hams, wouldn’t you say? I’m enjoying my coffee this cold, windy, December 1st morning. I hope you are, too. This entry was posted in Berkshire Pigs, Country Living, Holidaze and tagged Berkshire pigs, coffee, Holiday preparation, kitten, seasons. Bookmark the permalink. 5 Responses to Christmas Season is Here. 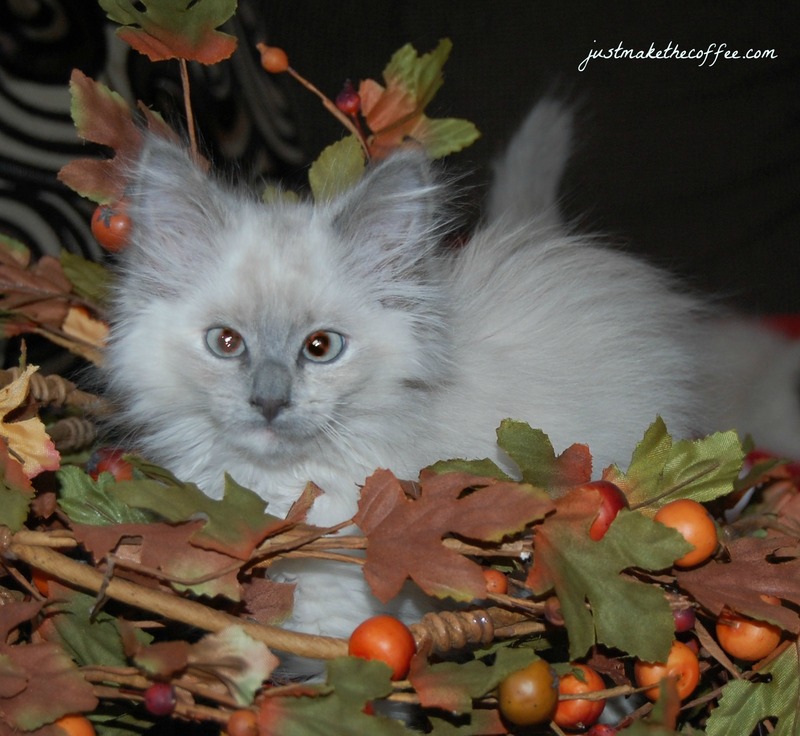 I had to pin your kitten onto my Country Living board in Pinterest…she is darling! I’m still in love with your kitty, I don’t care what you name it. Is Bubbles slightly cross-eyed? Yes, she is! It is sad, I suppose, but somehow, absolutely adorable on her. December? When did that happen? 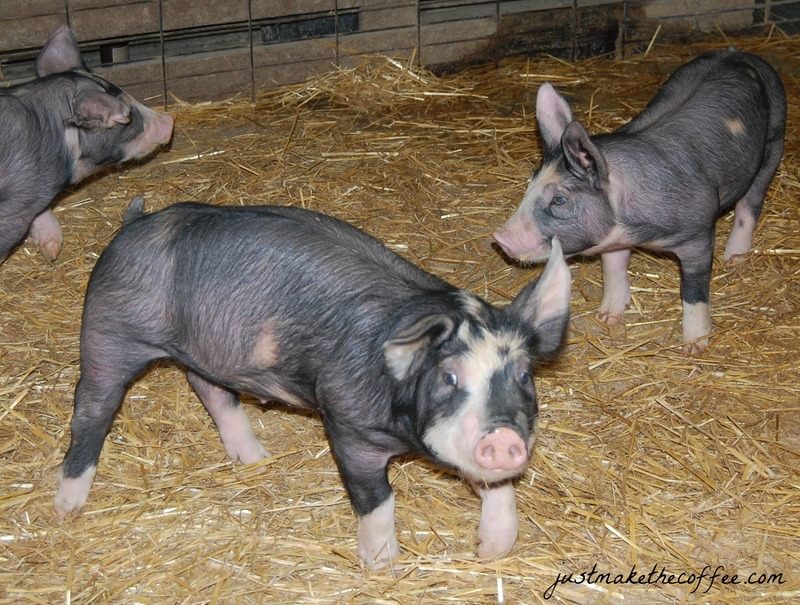 Love to see the piggies “hamming” it up. Bubbles is a beauty.